Innovative Protection maintains and utilizes our own proprietary software, undergoing (in the background) continuous process improvements, which rival the leading security systems software. The following are some of the many features offered by Innovative Protection. Recap Of All Citations Issued: This report provides you with information on all vehicles cited/towed during the billing period (if applicable to your property). It includes the vehicle make, model, color, nearest address and the specific violation for which the vehicle was cited/towed. This report is sorted by the license plate of each vehicle, and by the date of each citation. Why not have the overnight guards check the lights, parking lot, and floors? Why not have a customized form that gives specific tasks laid out as a to-do list for the guard? Why not give them the ability to take a digital picture to upload and relay that to management? Why not utilize your investment in security into something much more efficient that delivers accurate, concise, legible information to management every morning so they can effortlessly glance at the previous night’s activity? This form includes an area to upload files, pictures, client information, a satellite image of the site with bearings for reference, and local police, fire, and animal control numbers. This form is designed based on site specific instructions and our ongoing assessment of what is needed. The form started off as a detailed check list for the guard, then it became a tool that is not only useful for internal management, but something that can be shared with client. This form also serves as an informational resource for the client. Each site is issued a laptop that is customized and can only be used to submit security reports. Laptops are provided with an internet connection to open and submit reports only. Admiral Security Services, Inc.’s servers house all online reports submitted daily on a cloud based system. Once submitted on site, our 24/7 command center is able to retrieve the report, open it, and review it for any operational issues. The report is then converted to a PDF, and emailed to the client’s designated distribution list by 7:00 AM the next morning. This solution has allowed management to have explicit information and clear pictures of anything that may have happened on site. With this information, management would be able to repsond and address issues daily, in an orderly fashion. The collected information could also be used for an insurance case or an eviction when necessary. This tool has allowed Admiral Security Services, Inc. to better communicate with its clients by combining the client’s needs with reports that are done in a concise manner. All calls requiring responses (loud parties, suspicious people, etc: Every time an officer is dispatched to our property, a report of the call and the outcome is emailed to the manager, same day! Are detailed service instructions given by the client. Client Orders may include number of visits to the property, officer’s duties to perform while on site, Parking Rules and Regulations, etc. 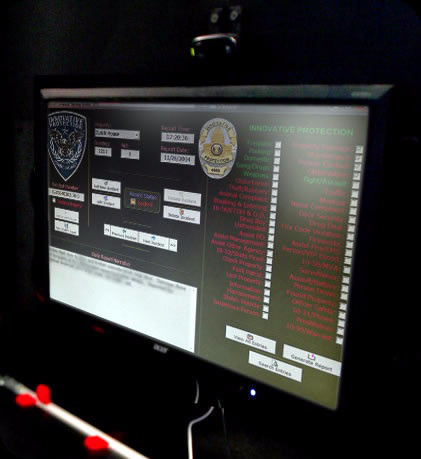 Our officers review and maintain a copy of Client’s Orders at all times while on your property. Residents are now able to safe-list their vehicles and their Guest’s vehicles on-line, if authorized by the Association, by simply visiting our website. You do NOT have to display the confirmation number in your vehicle. Simply, just keep it for your records.